The 20th annual National Bike Summit will be taking place from March 9-12, 2019, in Washington D.C. and Arlington, VA. The summit will feature educational workshops, bicycle rides, a league rally, receptions, speakers, and much more. For those interested in joining either the Pennsylvania or New Jersey delegations and meeting with Congressional Staff for your district and senators, we invite you to attend Lobby Day on Tuesday, March 12th. With a brand new U.S. Congress this year, and the federal transportation bill set to expire in 2020, there will be a unique opportunity to increase funding for bicycle and pedestrian projects. If you are available to join us on March 12 we ask that you fill out this form. That way we will be able to schedule a meeting with your Congressional Representative and meet up with you on Lobby Day. 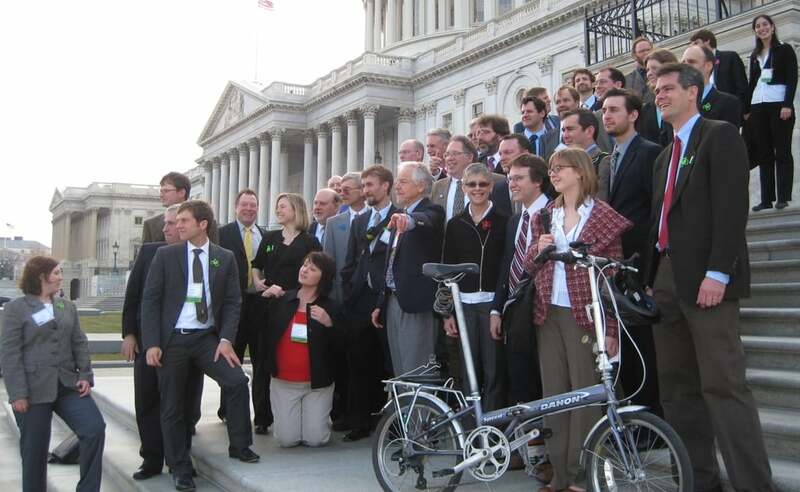 Please note, you do not have to sign up for the National Bike Summit ($500) to participate on Lobby Day. All attendees will need to arrange their own transportation (and lodging if needed) to Washington D.C. Currently, fares on Megabus from Philadelphia range from $5 – $20 each way and Amtrak online fares are as low as $44 each way. There are several hotels and AirBnB’s within 20 miles that are at or under $100 a night. Capitol Hill is about a 10 to 15 minute walk from Union Station. If you find that you have idle time between scheduled meetings, you are free to explore on your own. It’s a great opportunity to experience dockless bike share and e-scooter share which will be coming to our region in the near future. If you can stick around there will be a Congressional reception on Capitol Hill at 5PM following the meetings.